She pushed the bowl out on the step and hung back. 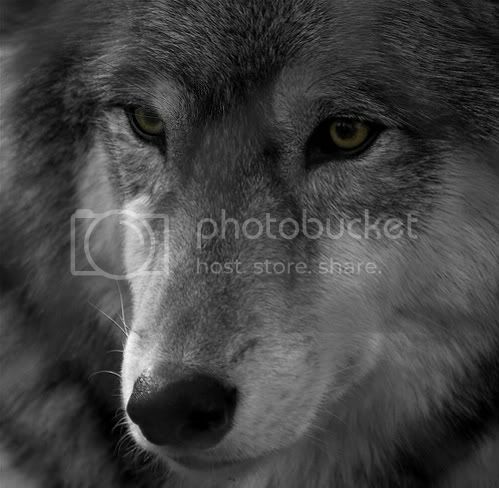 Hungry eyes glinted in the darkness, soft whines stripping from his shaggy throat. The little girl unbent her knees. She nudged the dish again. He watched, then pawed the ground momentarily. He heard her shallow breathing. She knew these wild dogs were dangerous. Her mother kept warning her, but she wanted to care for them. Glittering eyes settled on the child’s offering. He crept forward to lap up the warm milk. She wouldn’t know he was trapped in wolf form until the moon slept again. This post is part of the Seven Days, Seven Saintly Virtues Blog Challenge started by the lovely Lady Antimony of the blog Thoughts, Musings and Broken Promises. Are your virtues this endearing…? Oh, that's sweet! And I'm a bit of a sucker for little girls with monster guardians/pets, so this'd be a cute way to net a werewolf friend. I'm not really into werewolf/vampire/etc stories, but I like this. The vulnerability of both the girl and the wolf, and the friendship offered makes this beautiful. Oh, this is so neat! Unexpected. Well done. Awww, so sweet. I love wolves and twists in the end. I wonder how she'll react if/when she finds out he's werewolf? Nice job showing the child's tender compassion. Oooh, I really like this! The child seems so precious and sweet, and I adore the werewolf twist. Wonderful fill! Nice piece. I like the way the child just sees a dog that needs to be fed.